Social Studies and the Humanities offer particular challenges to struggling learners due to complex vocabulary, abstract concepts, and demands for substantial background knowledge. Teachers who use a culturally relevant lens to view their teaching practice know that they must challenge their students on the edges of their abilities but also provide support and scaffolding to help their students achieve academic success. In partnership with the Emerging America Teaching with Primary Sources project, the Inquiry in the Upper Midwest project presents this two-day workshop making the best of inquiry-based instruction in social studies and humanities accessible to all learners. Emerging America Director, Rich Cairn, will guide teachers through effective strategies to support all learners. 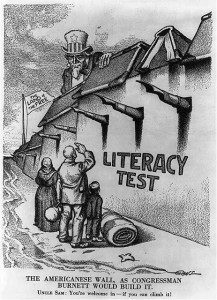 Exemplars of best practice based on the history of immigration and of foreign language communities in the United States will be featured, using primary sources and analysis tools. Skills covered will include differentiated instruction, Universal Design for Learning, and family engagement. This workshop is designed for grade 3-12 educators in the following areas: History, Social Studies, English Language Arts, the Humanities, English as a Second Language, Librarians, Special Education, and other Specialists. Space is limited to 50 teachers, so register soon. Teachers who complete both days of this workshop will be eligible for a $150 stipend. Lunch and light refreshments provided. Mileage and lodging available to those who qualify. Contact Kara Knight with questions. This event has filled. Please click here to be added to the waiting list.